The first of three Nintendo exclusive Sonic games gets its first trailer and it showcases an entirely new style. Sonic games have held a shaky relationship with gamers, but with a new exclusive publishing partnership with Nintendo, the blue hedgehog is looking to get back on stable ground. Today, the latest title in the Sonic the Hedgehog series, Sonic Lost Worlds, recieved its first trailer exclusively on IGN. The debut trailer showcased new baddies, the art style of the new title, and even a few clips of gameplay. With a decidedly Mario Galaxy esque feel, Sonic Lost World features sphere-based platforming that may be the refreshing change the series has been waiting for. 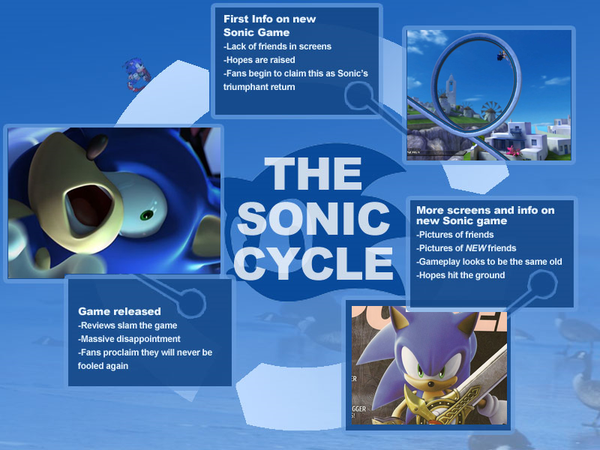 Set for release later this year, exclusively on Nintendo consoles, Sonic Lost World hopes to finally break the "Sonic Cycle".